24sqm ground floor studio with patio, consisting of king size bed (divisible into two queen size beds), bathroom with shower, fully equipped kitchenette, ceiling fans, cable TV, safe box, door and window security grilles, insect screens. Villa Preciosa is located in the urbanization Dominicus Americanus, a quiet residential area which takes its name from the homonymous Playa Dominicus, one of the most beautiful beaches of the Caribbean Sea. 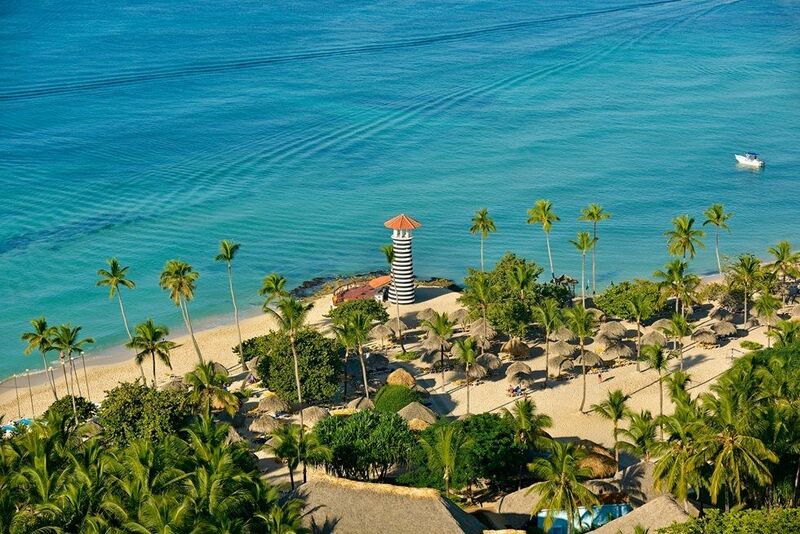 Calm sea, shallow water, white sand, clear water and hot temperature make this stretch of coast one of the sunniest of the entire Dominican Republic. The Dominicus Americanus is also located close to the National Park del Este, a protected area that safeguards inside the Isla Saona, a virgin island, favorite place of many tourists coming from all over the world to spend a day on its beautiful beaches , swimming in its crystal clear waters, admiring the incredible marine fauna and flora. The residential area is just 25 km from the airport of La Romana and about 100 km far from the airports of Punta Cana and Santo Domingo, the city of La Romana is within a distance of 30 km, while it is 35 km to get to Higuey. Villa Preciosa is located in close proximity to all the attractions of Dominicus Americanus: Playa Dominicus (70mt), the promenade with its caf, restaurants, shops (100 meters), casino Diamante (300 meters). The villa consists of 9 apartments (4 studios, 4 apartments, 1 family apartment) and can accommodate from 2 to 30 guests. UTILITIES 15 PER WEEK FOR STAYS LONGER THAN 7 NIGHTS TO BE PAID CASH UPON ARRIVAL.